Montilla, C.; Kallewaard, V.; Gonzalez-Rojas, H. A. 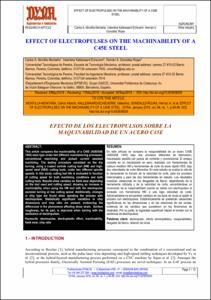 Effect of electropulses on the machinability of a C45E steel. "Dyna ingeniería e industria", 1 Gener 2019, vol. 94, núm. 1, p. 94-99.